In a major development, the indigenously built Light Combat Aircraft Tejas on Monday successfully carried out air-to-air refuelling. The ability to carry out mid-air refuelling is one of the critical requirements of the LCA to achieve “final operational clearance”, making the aircraft battle-worthy. LCA Tejas, an over three decade old project, is a single seat, single engine multi-role light fighter aircraft. The aircraft is yet to be combat ready and HAL, the manufacturer of Tejas, is expected to get final operational clearance by the end of this year. According to HAL, the LCA Tejas successfully completed the Wet (actual) engagement today by transferring 1,900 kilos fuel from IAF IL78 mid-air refuelling tanker. “The refuelling was carried out at an altitude of 20,000 ft. The aircraft speed was 270 knots and all the internal tanks and drop tanks were refuelled,” HAL said in a statement. Reacting to the development, HAL chief R. Madhavan said, “With this, India joins the elite group of countries who have developed the air-to-air (AAR) system for military class of aircraft.” Last week, the successful dry docking of aerial refuelling probe with mother tanker was carried out. Calling it a significant milestone, HAL said the aircraft piloted by wing commander Siddarth Singh achieved the feat on Monday morning at 9:30 with officials from HAL and ADA closely monitoring the system parameters from the ground station at Gwalior. “The performance of aircraft systems (mainly fuel & flight controls systems) during the trial were in-line with the design requirements and was closely matching with the results of extensive ground tests of air-to-air refuelling system,” HAL said. Officials also said that air-to-air refuelling gives tactical advantage as the aircraft can operate from any base and need not be at a border location. Moreover, the aircraft can be topped up with extra fuel mid-air, which allows a takeoff with greater payload of weapons and the advance superiority fighter can be used in air defence and strike with enhanced endurance. In December, IAF has formally placed order for 83 Tejas aircraft with HAL, but the force had sought some modifications in the aircraft. Few months back, IAF, while pitching for case to have single engine fighter jet, believed to have informed the government that Tejas is not enough to protect Indian skies with its limited capabilities. 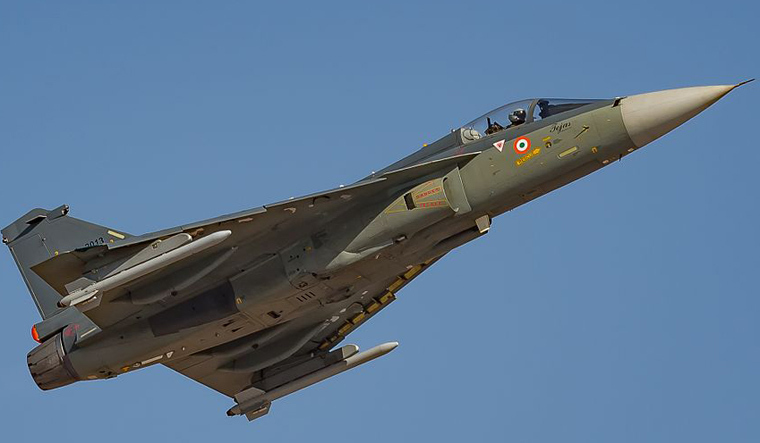 IAF is believed to have told the ministry of defence that the "endurance" of Tejas in combat is just about 59 minutes and can carry a pay-load of about three tons, which are much below the capability of other single-engine jets available in the global market. Besides, IAF also made some reservations over the maintenance cost of Tejas. It is learnt that the maintenance cost of Tejas is high as the fighter needs 20 hours of servicing for every hour of flying. LCA Tejas, is claimed to be nearly 60 per cent indigenous. It has the fly-by-wire, state of the art open architecture computer for avionics, better weapon and combat capability.